Getting Started With React Native - Easy or Hard? 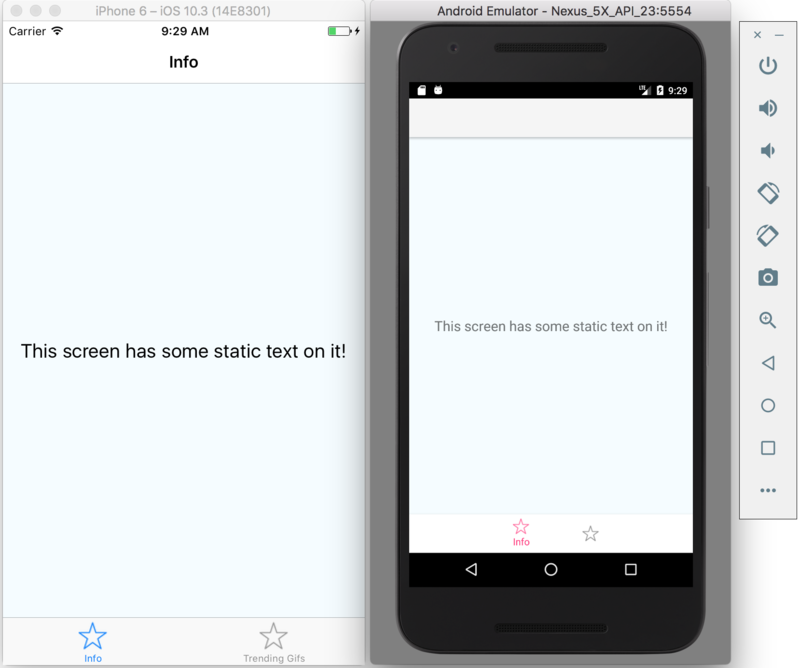 Setting up and configuring a React Native development environment that targets both iOS and Android. Writing a simple, unpolished app with cross-platform tabbed navigation that loads some data from the cloud. 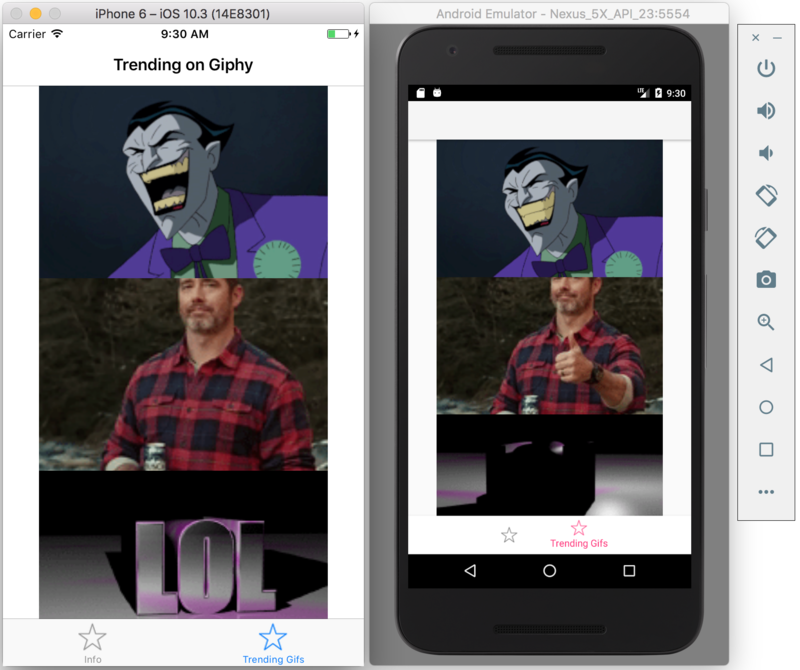 I chose to l/xoad trending gifs from Giphy, because who doesn’t love gifs? Note that I went into this having some experience with both React and native mobile development. However, I had never set up or used React Native prior to this experiment. Ignoring React Native’s complexity as a development platform, I have also heard that it’s a huge pain to set it up and get running. I was happy to find that my experience was the exact opposite. I was able to get the Hello World app up and running on both iOS and Android in less than an hour. 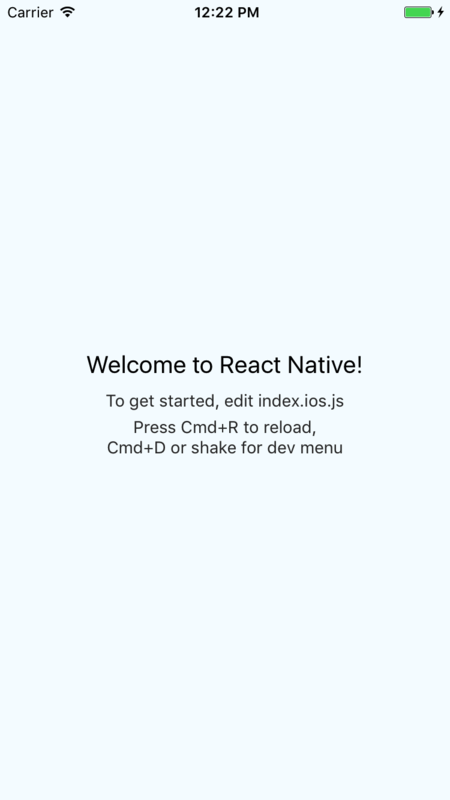 To set up my development environment, I followed the instructions in the React Native docs. 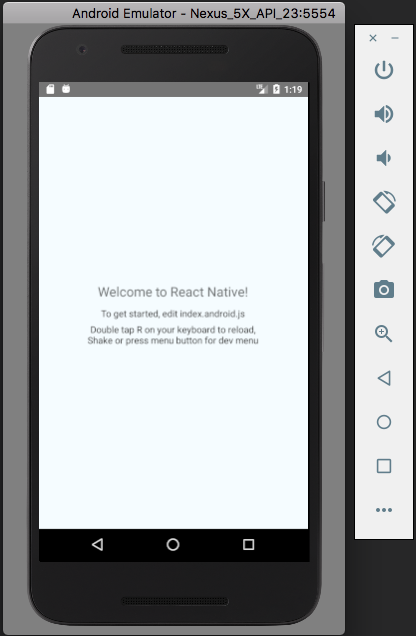 One approach to set up a project uses create-react-native-app. I opted against it because of the caveats described in the docs. Instead, I followed the Building Projects with Native Code instructions. The instructions require you to choose a development platform and a target OS. 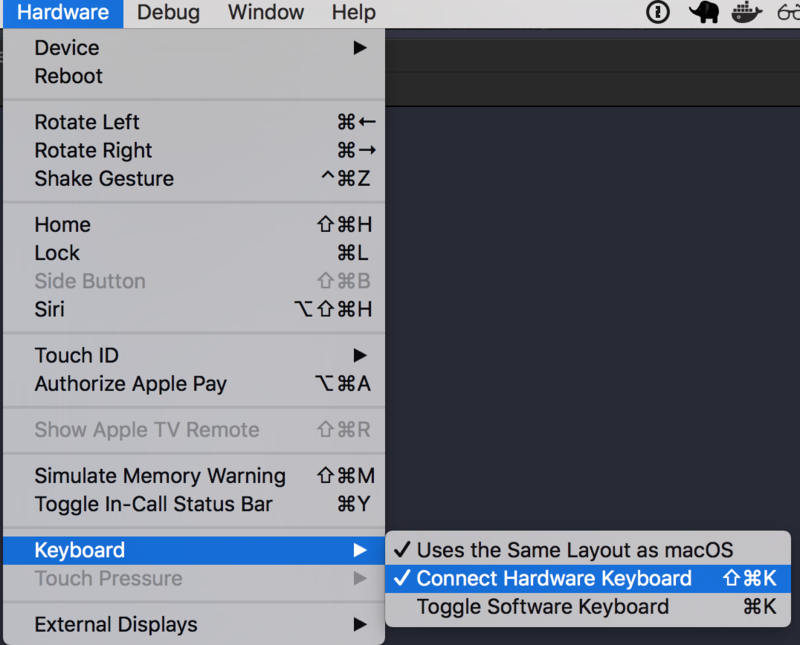 I’m using macOS, but I wanted to set up something that could target both iOS and Android. Since you have to choose one, I chose iOS first, then went back and set up the Android environment afterwards. 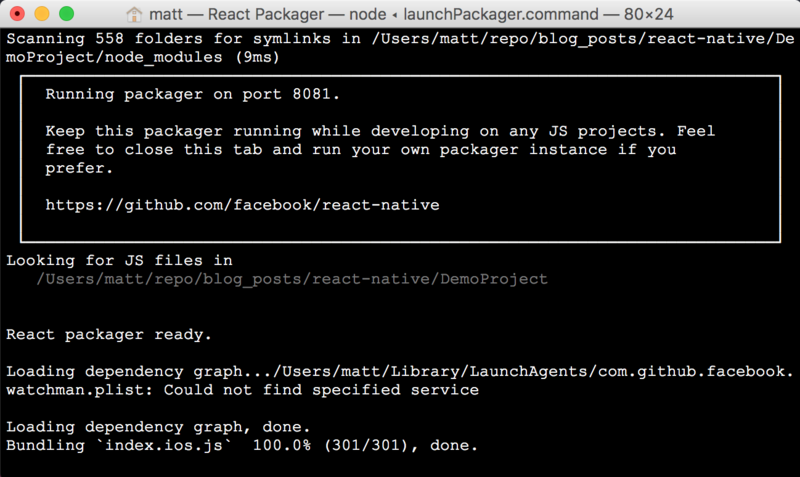 I already had Xcode, Node, and Watchman installed, but I still needed to install the react-native-cli. Once that was done, I created a project directory and initialized a new React Native project into it. a terminal window launched, and the Hello World app started up in the iOS simulator. That was it! Everything was up and running in about 10 minutes. The iOS setup was simple, though I did run into two smaller issues that were easy to fix. I was a little disappointed to find the Objective-C iOS project under the hood. In the /ios directory, you find the standard header .h and implementation .m files. I suppose this shouldn’t be surprising, but after working on some Swift projects, it felt like going backwards a bit. Having less Android development experience, I was excited to set up the Android environment. I have heard many folks say that React Native for Android is much less mature and stable than the iOS side. I switched the target OS in the docs from iOS to Android and installed all of the Android dependencies. 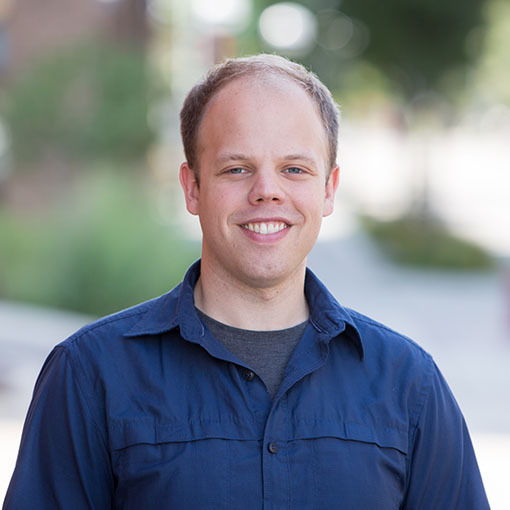 This included the Java Development Kit, Android Studio, and the proper Android dependencies within Android Studio. This step took about 20 minutes, but most of that was waiting on downloads to complete. 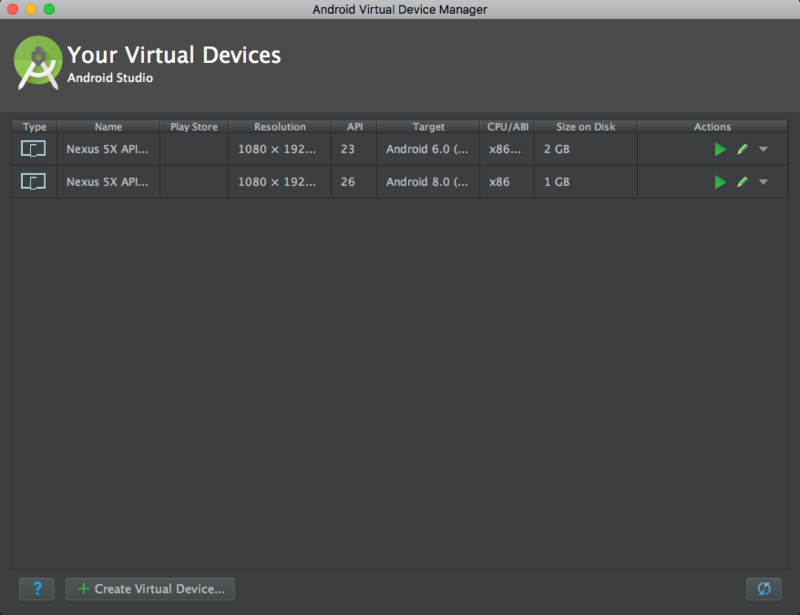 After re-reading the docs, I realized the problem was I wasn’t running an Android virtual device. On iOS, it auto-launched the iOS simulator, but apparently on Android, you need to start the device first. I opened the Android Studio Virtual Device Manager and created a new device targeting Android 6 (Marshmallow) as the docs described, though I later learned that I could have just used the existing default AVD that was targeting Android 8. You can start an AVD by pressing the green triangle in the manager window. and the Hello World app launched correctly. Because I had forgotten to re-source my shell after adding the above, it failed to connect the Android debugger to the emulator. As I mentioned earlier, in addition to setting up a development environment, I wanted to see how difficult it would be to build a simple app with navigation that loads some data from the cloud. The answer was: moderately difficult. Most of the complexity came from trying to understand how to best handle cross-platform navigation. Cross-platform navigation seems kind of messy. In iOS, most navigation is controlled by UINavigationController. React Native has a NavigatorIOS component, but it is for iOS only. I decided to give native-navigation a try. The installation was straightforward for iOS. However, it took a lot of finagling to get it working on Android. I had to update the compileSdkVersion and buildToolsVersion in android/app/build.gradle from 23 to 25. I also had to define an icon for my tabs–the Android app would not build without a defined tab icon. After some work, my cross-platform app was looking pretty decent. I created an app with basic tab navigation. The first tab just displayed some text. The other tab displayed a table of trending gifs from Giphy. The first contains a component wrapped in a component. Pretty simple. This two-tabbed app is definitely simple. It only took about a day to put together, and it contains zero platform-specific code. Furthermore, I was able to accomplish it without any prior experience with React Native. I think that definitely speaks to its strengths. I'm sure you will need to introduce platform-specific code stuff if you develop anything moderately complicated, and especially if you need views that aren't supported natively or by a third party, but I suspect this can be kept to a minimum with some planning and consideration. You can find the code for my app on GitHub if you'd like to spin it up and play around with it. I would love to hear about your experience or thoughts on React Native.